The James and Paula Coburn Foundation was extremely honored and delighted to attend the 2015 Los Angeles Philharmonic Gala. 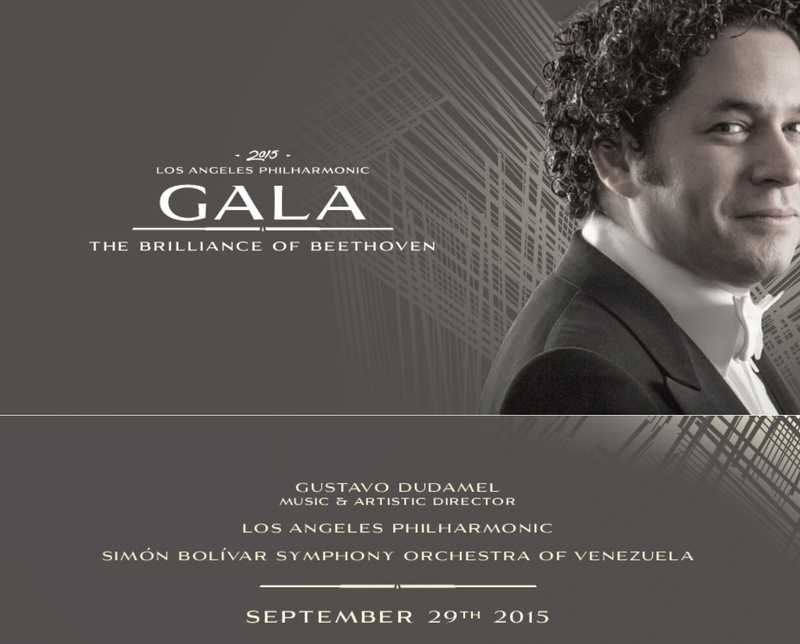 Music and Artistic Director Gustavo Dudamel conducted an incredible tribute to the great Beethoven as he led an orchestra comprised of members from both the LA Philharmonic as well as the Simon Bolivar Symphony Orchestra of Venezuela. The James and Paula Coburn Foundation is proud to support the efforts of the LA Phil as well as Gustavo Dudamel’s youth orchestra program YOLA, through which the LA Phil and its community partners provide free instruments, intensive music training, and academic support to over 600 students from underserved neighborhoods, empowering them to become vital citizens, leaders, and agents of change.